This WAPO story is a warning message to all state universities. including our own. The Administration at Arizona Stare University, our sister campus in the PAC 12, has created a “Freedom Center” to comply with the desires of the Koch brothers as enforced by the Arizona state legislature. As far as I can see the ASU Faculty Senate played no role in this academic decision. So much for “shared governance.” Frankly, the ASU Senate webpage suggests that the Senate at ASU exists more or less in the model of the USSR’s Supreme Soviet .. an advisory role with no actual authority. A professor at ASU, who left in disgust, describes how boundaries were violated. This is all too familiar at the UW. While we are lucky that the UW has had a long history of academic freedom based on a model of shared governance, the relevance of the faculty is being eclipsed as the administration become the university. A brief anecdote may explain why I think this is important. A few years ago I was at a barbecue with Frank Chopp, Speaker of the State House of Representatives. Frank congratulated me on the new stadium. I asked Frank why he was congratulating me? The Speaker answered that he knew this was the top issue for the UW faculty. Frank apparently knew very few faculty and assumed Mark Emmert spoke for us all. Emmert, a committed candidate to lead the NCAA, was always more interested in football the any academic endeavor. He treated descions of the Faculty Seante with utter disrespect. I know that Mr. Chopp’s perspective is widely spread not only among our politicians but among Washington’s media and business leaders. Very few of these folks have any idea who the faculty are. 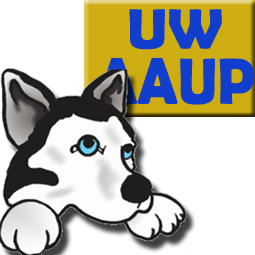 When they read that we, the UW, are ranked amongst the top fifty world universities, people like Mr. Chopp identify that with our leadership and see leaderships as meaning the administration. The UW Faculty Senate is invisible and certainly is not looked at by most faculty as central to their individual success as academics. Another friend, the Seattle biotech journalist Luke Timmerman, recently published a book about Lee Hood’s experiences in Seattle. Lee was (and is) a very prominent scientist who played a leading role on developing the machines that made the human genome project possible. After Lee was attracted to the UW by a large grant from Bill Gates, Lee and the Medical School Dean got into a fight over issues of academic governance. Lee Hood left the UW and founded his own Institute for Systems Biology. Luke is a very smart reporter but he obviously knew little of the prominence of the world-leading faculty at the UW School of Medicine before Lee Hood came here. Instead Luke sees the UW as a second rate medical school and the domain of the of the Dean of the School of Medicine. Luke is not unusual. Even the names of our most prestigious faculty are usually unknown to the politicians and media figures who shape how we, the UW, are perceived. What do my anecdotes have to do with the function of a faculty Senate at the UW? While the Faculty Handbook describes the UW as “first and foremost a community of scholars,” as a legislator, Frank probably thinks of the Senate, at best, as a weak alternative to a faculty union rather than as an academic body. To Frank, the administration IS the UW. While Ana Mari, is both our current President and professor of Psychology, I fear that maintaining the University as a premier center of intellectual activity in our state and even for the nation will be impossible unless there is an effective Faculty Senate. That means much more than just a role like that of a union. It means that the Senate rather than any administration, should be seen as the body responsible for issue of ethics. integrity and professional achievement. Certainly the debate about creating a new academic department at the UW or ASU should be held on the Senate floor.